The most peculiar thing happened to me the other day. I was doing what I usually do on a Friday morning–driving in my trusty ’94 Honda to the arboretum to practice yoga with some friends. Usually I’m in a rush–wake up, gulp some coffee, grab my mat and go. But this Friday as I rounded the curves of the road surrounding the arboretum, I slowed down. It’s daylight savings time–when darkness comes quickly and lasts. But Friday morning was so filled with light, it couldn’t help but command my attention. It turned gold and glittered down through the leaves and onto the road, mingling with shadows. My windows were rolled down and the breeze that finally feels like autumn, mussed my hair, cooled my rosy cheeks and made me smile. Fall makes me wake up. It makes me feel the most alive. It’s full of magic. Perhaps that sounds naive, silly, and twee–but I don’t care. There is a palpable energy that I feel every autumn. It’s my season. Sitting at a stop sign, I was mesmerized by the golden morning hour. It was early and the roads were mostly empty, so I lingered a few more moments. I let my foot off the break slowly and rolled forward in no rush, continuing down the road. Just as I began to round a corner, a bright green grasshopper jumped on my windshield. With a “tap” sound, it landed right in front of my face. I couldn’t help but smile. In all of my time living here, I haven’t really seen many grasshoppers–especially a big one like this. It reminded me of my childhood. As the evening sunlight ribboned through the rows, I used to run through the cornfield as fast as I could. Grasshoppers exploded from the ground as I zoomed past–their bodies flinging past my arms announcing my presence. On Friday, as I looked at this grasshopper in front of my face, I couldn’t help but acknowledge and welcome everything it brought. Giddy with my magical encounter, I told a dear friend about it. She immediately chimed and said, “that’s good luck.” “Really?” I said, “It feels lucky.” I went onward with my day and my weekend believing that maybe some luck would soon shine down upon me. Instead of waiting around for the luck to find me, I’m practicing staying open minded, positive and patient. Anyone who knows me would say I already appear to be good at all of those things–but the truth is, I’m not. Sometimes friends will say, “I wish I were as calm as you are. Nothing seems to bother you.” Dear friends, thank you for noticing–but this calmness isn’t something that I was born with to exude–I’ve been working hard on it for a long time. So, needless to say, staying open minded, positive and patient isn’t easy. But I’m working on it. 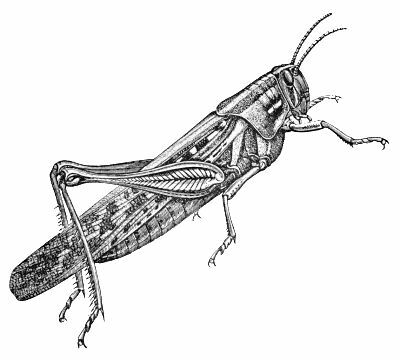 This morning, cuddled in a blanket, fighting a cold, I decided to read about grasshoppers. Like many totems, it has various meanings and symbolism. I read that grasshoppers often leap into your life to announce that new experiences are coming. They represent the balance between being grounded and free spirited. I also read that they symbolize pause, fertility, luck, creative manifestations, and prosperity among others. The power of pausing and making space for new experiences resonated with me the most. As I was driving, I was much more attentive and mindful than I usually am, and plop! the grasshopper arrived. I believe I’ve written about it before–but this year is a weird year for me. As I support and wait for my husband to complete his degree, I’m just kind of stuck. I ruminate about the future a lot, and I’m trying to practice those things I mentioned before: be open minded, positive and patient. Finding employment is hard, living in the south is strange, and I’m a little unsure of the next steps. I’m a planner, and there isn’t a solid blueprint for what’s to come–this induces so much anxiety. Like the grasshopper, I want to leap and fly out of here to whatever is next. And Codey does too. I guess we will continue to be patient and know that things will work out in their own time. That grasshopper had a message for me; I’m so glad I was listening. Lovely, lovely, lovely! I can’t wait to see you again. You feel like home. Have you read the Power of Now? I’m slowly creeping my way through it. I’m in a time of discernment and cultivating change that I know needs to take place but im resisting. I just want to fast forward to a time of ease and comfort. But I know that time will never come (Do I want it to come?) if I don’t learn to appreciate these precious moments, these grasshoppers on my windshield and beautiful golden light shining through the trees. It’s getting easier for me, but boy does it take practice. Oh, Tim. I miss you so much. I can’t wait to see you. And thank you…I hadn’t written in a while (I was too busy stressing myself out! ), but today I’m sick so it was perfect down time to do so. And yes, it does take practice–it’s hard work! There’s good days and harder days. I know you’re working on all this too.